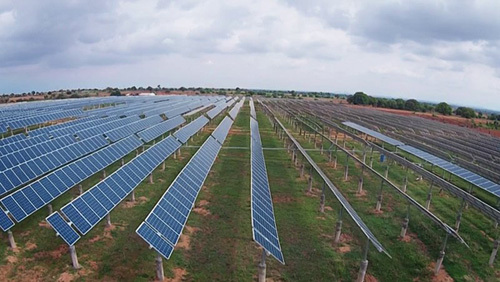 System Integration & EPC division of Photon Energy Systems is specialized in setting up Solar Power Plants for both on-grid and off-grid requirements. We have installed & commissioned various Solar PV power plants both in KW & MW scales. Our cutting-edge technology and expertise make us one of the best solar power plant manufacturers in India . Solar energy is available in abundance and is sufficient enough to illuminate the whole planet. At Photon Energy Systems, we assess your energy requirements, identify the correct system components and integrate the components to generate the power plant of the desired output. Being a leading solar power plant manufacturer in India, we incorporate interdisciplinary approach in crafting robust, functional and engaging power plants. We focus on high engineering standards and quality approach to ensure a high level of customer satisfaction. We deliver perfection in every step from designing, engineering, manufacturing, installation to maintenance of solar power plant. Some of our prestigious customers are - NTPC, Neyveli Lignite, KPCL, TATA Power, APGENCO, DRDO, GMR among others.